Our Captains room (Preschool) is starting their big focus on numeracy this week to help them prepare for school. 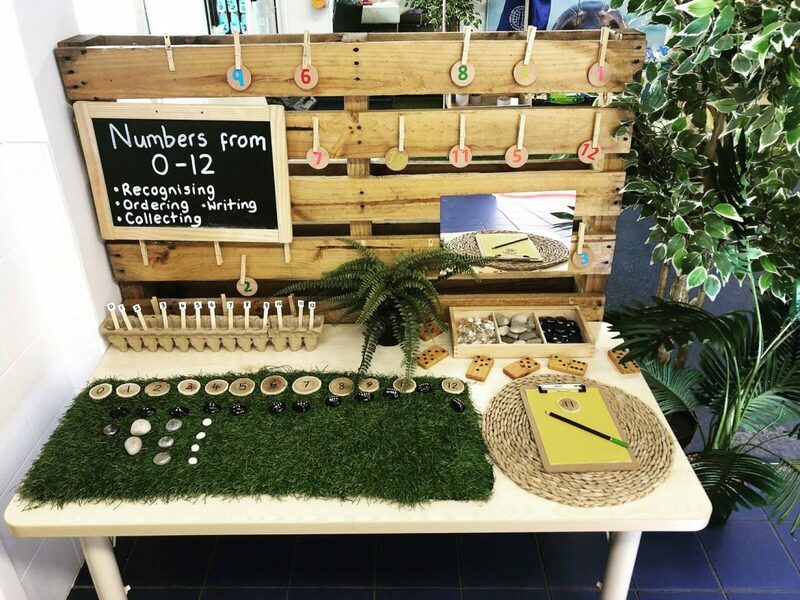 Numeracy can be taught in so many engaging ways through play. * Make counting part of your everyday life. For example, count toys, shells at the beach, stairs, fruit at the grocery store or trees on the street. * When you’re out and about, encourage your child to compare sizes of stones, bushes and trees, and describe shapes of leaves, colours of flowers or sizes of birds. * Go for a walk down your street and point out how each house or block has a number in a series. Count the steps between one house and the next. * Use a growth chart or marks on a wall to measure your child’s growing height, and describe to your child what you’re doing. * Involve your child in cooking. Your child can help stir, pour, fill and mix. This will help your child learn to count, measure, add and estimate. * Singing number songs, rhymes and reading stories.